Kalma IDP camp, South Darfur, July 29 2004.Abacar Abdallah, 25 months old, on his mother Mariam lap. He suffers from severe malnutrition, weighing at only 5.2kg. Despite desperate last minute efforts by the MSF medical staff to save him, he will die a few moments after this photo was taken. 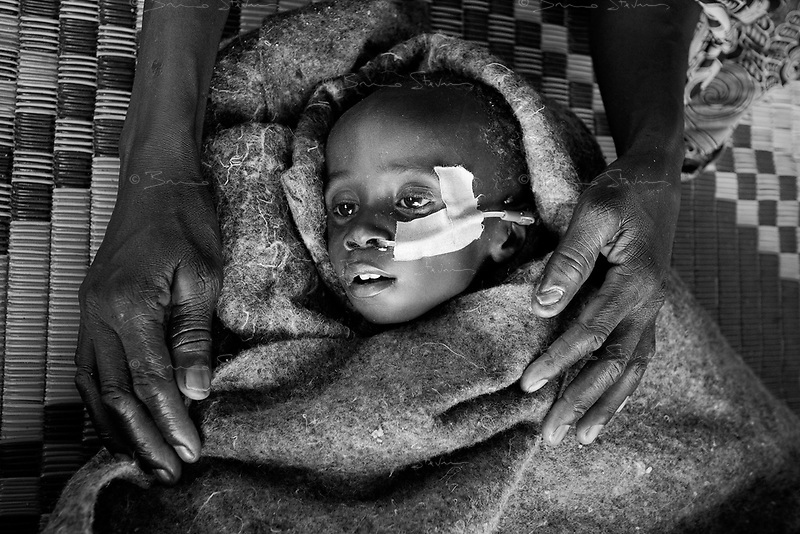 He is one of 2000 children in the MSF emergency nutrition program in this camp.